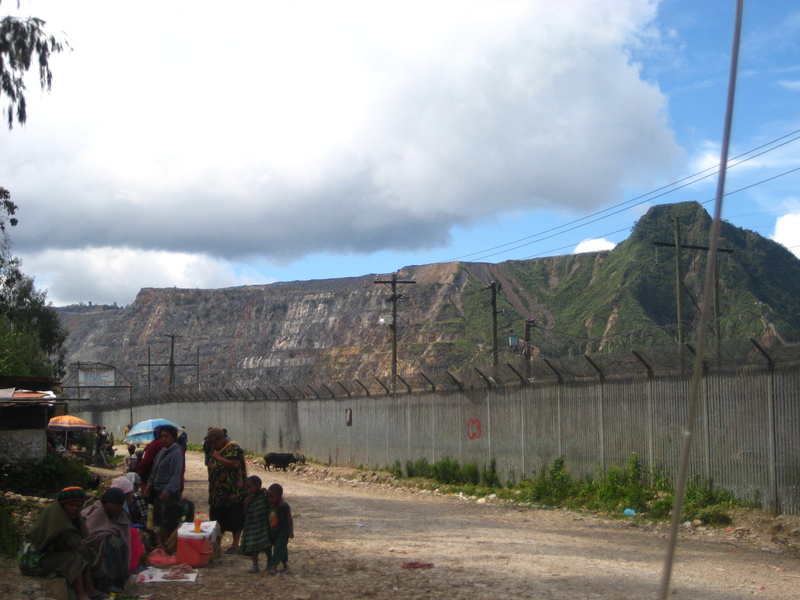 Approximately 200 women who survived brutal rapes by Barrick Gold’s security guards in Papua New Guinea were asked to waive their legal rights in exchange for small “business grants” and “business training,” a reparations process that human rights and women’s rights advocates are criticizing as inadequate and designed to protect the Canadian gold company rather than remedy the abuses. For years, security guards at Barrick’s Porgera mine have brutally raped and gang-raped hundreds of local women and girls. The mine’s ever-expanding waste dumps surround communities and bury farms, leaving girls with no option but to cross through the dumps to reach school, and leaving many women with few livelihood options than to scavenge for gold. As documented by local human rights group Akali Tange Association (ATA), as well as a 2011 Human Rights Watch report, Barrick’s security guards patrolling the dumps have repeatedly preyed upon these women and girls. In 2012 Barrick set up its Remedial Framework to provide reparations to the victims. That process is now finished, and those familiar with the process are speaking out. Barrick claimed that it would make individual assessments of each woman’s needs and offer a flexible benefits package that might include appropriate financial reparations or even relocation where appropriate. But the Framework was not run as promised. As documents released today show, the benefits packages were largely made up of a “business training” program set up by Barrick, after which the women could get a “business grant” of 15,000 kina – about $6000. With other small elements, such as fees for children’s education and a “financial supplement” of up to 5,000 kina ($2000), the value of almost every package came to the same figure – 21,320 kina (about $8500). No exceptions were made to the mandatory business training program – not even for an 87-year-old woman. In exchange, documents show, the women – mostly highly impoverished, traumatized, and often illiterate – had to promise never to sue Barrick. Many women demanded reparations according to their culture, in which disputes are settled with valuable compensation. In a surprising statement, the Remedial Framework’s Advisory Panel specifically rejected this, suggesting that providing compensation according to Porgeran culture and international human rights norms would not “respect the dignity” of the women.